Suscribe to The Republican News. Advertise with us call us for press release, enquiries. 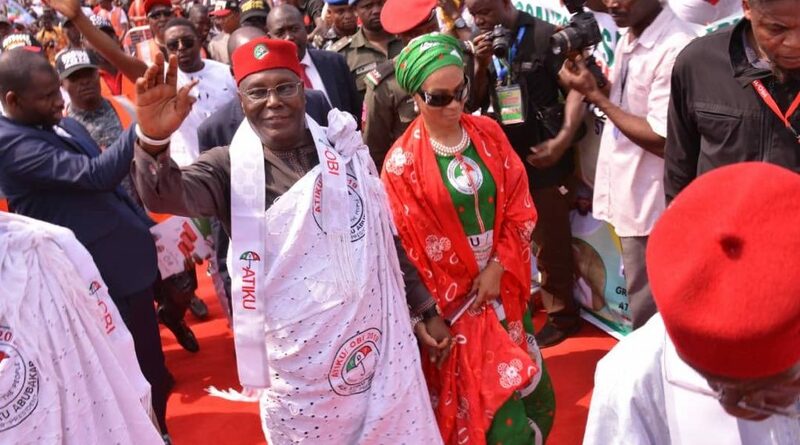 Former vice president and presidential candidate of the Peoples Democratic Party (PDP) Atiku Abubakar has polled a total of 594,068 votes across the 25 local government areas of Delta State in last Saturday’s presidential election. His rival and incumbent President Muhammadu Buhari of the All Progressive Congress (APC) scored a total of 221,292 votes. Independent National Electoral Commission (INEC) Collation Officer for state, Prof. Seth Accra Jaja, Vice Chancellor of Federal University, Otuoke announced the results in Asaba after collating the various results from various local government areas as earlier announced by respective LGA collation officers. Chairman of the state APC campaign council and former governor, Dr. Emmanuel Uduaghan did not only lost his senatorial election for Delta South, but failed to deliver APC in his Warri North LGA. Minister of State for Petroleum, Dr. Ibe Kachikwu also lost his local government, Aniocha North to the PDP. Meanwhile, the PDP won two senatorial seats with incumbent senators Peter Nwaoboshi and James Manager retaining their seats for Delta North and Delta South respectively. Similarly, incumbent Senator Ovie Omo-Agege for Delta Central also retained his seat. While Nwaoboshi polled 186,423 votes to defeat Doris Uboh of APC with 36,360 votes to retain the seat for Delta North, Mr. Manager pulled an upset in Delta South, defeating immediate past governor of the state, Dr. Emmanuel Uduaghan of the APC, who was primed to win going to series of endorsements he enjoyed prior to the election. Manager who has been in the red chamber since 2003, scored 258,812 votes while Uduaghan scored 125,776 votes. On his part, Omo-Agege defeated Mrs. Evelyn Oboro of the PDP to retain his senatorial seat for Delta Central. In the House of Representatives election, PDP clinched nine out of the available ten seats in the green chamber, with House Minority Leader, Leo Ogor polling 34,000 to trash Joel Onowakpor of the APC who scored 23,553 votes. Like Manager, Ogor who represents Isoko Federal Constituency will be serving his fifth tenure in the next dispensation. The essence of constitutional government is to ensure that the powers of the state are kept in check so that personal liberty would not be infringed. The scene that played out at the Three Arms Zone on Tuesday is a throwback to full military dictatorship, which ceased to be in 1999 when the Fourth Republic came into being. For masked SSS officers to have locked out legislators and NASS members of staff from their chambers and offices was reckless and unconscionable. Although some NASS members confronted the SSS operatives, they refused to do the right thing. These types of breaches occur only in banana republics, where the rule of law is in abeyance and government has become unpopular. Though the Acting President claimed that the unlawful act was done without the knowledge of the Presidency, it didn’t come out of the blue. Before now, cases of abuse of power by the Buhari government had become more prolific and severe. In July 2016, the SSS operatives reportedly rounded up principal officers of the Zamfara State legislature and took them to Abuja, where they were detained. Their only offence was their move to press impeachment charges against the state governor, Abdulaziz Yari. In early 2016, there was a clampdown on peaceful protests held in several cities to highlight the economic hardship citizens were passing through and failure of government’s policies to address it, even when the then Acting President, Osinbajo, avowed the administration’s acknowledgement of peaceful protests as the “fundamental right of the people.” Daura has taken Nigeria for a ride for too long! The abuse of power is only reaching epidemic proportions as the 2019 elections draw nearer. For the past three weeks, Nigeria has been awash with tales of use, misuse and outright abuse of power. The upheaval began on July 24 when 14 senators and 37 House of Representatives members defected from the ruling All Progressives Congress to other parties, particularly the Peoples Democratic Party. This seemingly altered the balance of power against the APC, especially when the Senate President, Bukola Saraki, announced his own defection from the APC to the PDP. On the day of defection, the police and Economic and Financial Crimes Commission officers had invaded the Abuja homes of Saraki and Ike Ekweremadu, the Deputy Senate President, preventing them from leaving their homes. Events escalated quickly with the defections of Governors Samuel Ortom of Benue, Abdulfatah Ahmed of Kwara and Aminu Tambuwal of Sokoto states, from the APC to the PDP. But the trend of violating the sanctity of the legislative arm of government first came to the fore forcefully in Benue when the police locked down the state assembly and aided eight minority lawmakers, in an assembly of 30 members, to launch impeachment proceedings against Ortom. The EFCC is also probing Ortom’s spending of security vote. These cases are no doubt disturbing. Specifically on Ortom’s travails, Nobel laureate, Wole Soyinka, says, “Coincidences are, by their very nature, suspect, and I certainly perceive the beginnings of a heavy-handed campaign of reprisals from ruling circles over your political decision…This bodes ill for the nation. It goes beyond any immediately-affected state and alerts us all to fascistic threats against a common democratic destination, and the basic right of free choice of political paths towards its attainment.” We agree. Put bluntly, Buhari bears the responsibility and blame for this avoidable or needless recourse to naked abuse of power to further personal political interests. Perhaps, the most deeply depressing aspect of Buhari’s dictatorial tendency is that it is not shocking. In 2015, many had doubted his claims of democratic metamorphosis. In response, Buhari pledged in his inaugural speech, “The Federal Executive under my watch will not seek to encroach on the duties and functions of the Legislative and Judicial arms of government. The law enforcing authorities will be charged to operate within the Constitution.” Nigerians now know better. The founding fathers of democracy saw the danger of vesting the powers of government in one person; and therefore separated them into three: the Executive, Judiciary and Legislature. Undoubtedly, the parliament is the unmistakable symbol of democracy. Its abrogation, while the other two arms continue to exist in the event of military intervention, underscores this point. The loss of trust in someone in whom voters had placed so much hope in 2015 is disturbing. Our state institutions should be seen to be conscientious and accountable. Buhari should refrain from further plunging Nigeria deeper into an abyss of unnecessary crisis, the type that is capable of showing the country in a bad light. A country already blighted by unprecedented levels of insecurity – terrorism, militancy, robbery, uncontrolled bloodbath and other acts of criminality – should not allow herself to be sucked in by an eddy of self-contrived political instability. 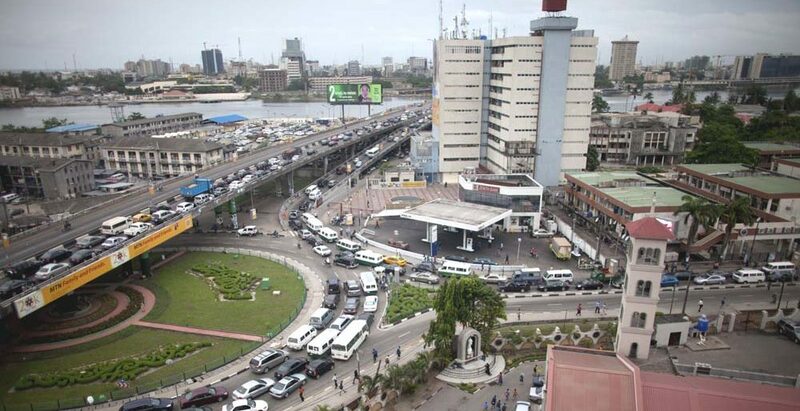 What is happening does not bode well both for Nigeria’s political stability and economic prosperity. A country very much in need of foreign direct investment should be more tactful in her actions, especially in portraying herself to the outside world as an embodiment of the rule of law, not as an arena for rascals to exhibit lawlessness and impunity. No investor would take Nigeria seriously enough to consider her a destination for investment when the environment does not suggest that it would be safe and protected. Besides, as the country to which leadership is naturally bestowed in Africa, Nigeria should not be seen to be promoting the kind of political intolerance associated with countries such as Zimbabwe, Burundi and the Democratic Republic of Congo, for example, where opposition to government is always met with a serious crackdown. These countries, including Nigeria, would have experienced a far higher level of development if they had inculcated the politics of tolerance and inclusiveness. It is only a government that has become very unpopular that behaves this way; it shows a level of desperation to hold on to power – at all costs. Senior Special Assistant to the President on National Assembly Matters (Senate), Senator Ita Enang, has warned that the country might face a total government shutdown if the National Assembly does not reconvene urgently. Enang and the Senate Majority Leader, Senator Ahmed Lawan, gave this indication while addressing State House correspondents shortly after a closed-door meeting with Acting President Yemi Osinbajo on Monday in Abuja. Both men were in the State House to brief the Acting President on the situation in the Senate. They also expressed the urgent need for the National Assembly to reconvene immediately and pass the virement and supplementary budgets requested by President Muhammadu Buhari. “We are still appealing to the National Assembly to reconvene. You remember that we passed the budget with the understanding that a great amount of the money will be sourced from foreign loans. “Although it was approved that there would be a loan, the amount that would be sourced was not approved. “The Fiscal Responsibility Act requires that the President specifically state the amount he wants to get from foreign loans and present it before the National Assembly. “This is what we are asking, but if it does not happen in the next few months, we risk a complete government shutdown because what we are receiving from the Federation Account as Federal Government share — the capital component — is not enough to sustain even 15 per cent to 20 per cent of budget. Enang said that the All Progressives Congress had a clear majority in the Senate as it now had in its fold, Senator Godswill Akpabio, the leader of the Peoples Democratic Party in the Senate and other defecting Senators. He said that Akpabio would be formally received in APC at a ceremony that would be held in Akwa Ibom on August 8. On his part, Lawan said that the capital aspect of the 2019 budget would be largely funded by foreign facilities/loans. He said that the National Assembly needed to pass the virement and supplementary budgets alongside other important and essential requests, especially that of the Independent National Electoral Commission and other security agencies. “We need to reconvene immediately to look into these issues. “Our government is almost stalled and I believe that if we pass the supplementary budget and virement request of Mr President, it will enable our government to provide the various infrastructure that we have planned to provide for Nigerians. “To do otherwise will be sabotage to this administration; will be sabotage to democracy itself because if we cannot provide the funds for INEC to plan the 2019 elections, what do we call ourselves? “Take the case of INEC for example, it can pick some items from the shelves but there are so many important items that INEC will place an order that will take two to three months. He urged senators to quickly reconvene and pass the requests as anything contrary would mean fighting the masses. Lawan said that there were conflicting reports from different caucuses of the Senate, but that APC remained the majority, as it had 53 senators in its caucus. He noted that the list of senators in APC caucus had been made public and challenged the PDP to publish the names of senators in the PDP Senate caucus. News Agency of Nigeria recalls that the Senate adjourned sittings on July 24 to reconvene on September 25. The National Assembly yesterday rejected the Executive Order 6, signed by President Muhammadu Buhari last week, and urged the President to suspend its implementation, noting that it is similar to Decree 2 of 1984. While the House of Representatives resolved to constitute an ad hoc committee to investigate all the executive orders signed and other subsidiary legislations, the Senate asked the Minister of Justice and Attorney-General of the Federation (AGF), Abubakar Malami, to appear before it to explain the constitutional basis for the order. The House gave its Ad-hoc Committee four weeks to complete its assignment. The House equally directed Malami and the Nigerian Law Reform Commission (NLRC), to make available to it a comprehensive list of all subsidiary legislations published in the Federal Government gazette within two weeks. He was also summoned to appear before the House. This followed the adoption of a motion on “Urgent Need to Investigate the Constitutional Compliance of All Subsidiary Legislation and Executive Orders by the Executive Arm of Government,” sponsored by Nicholas Ossai and 25 oth- ers, under matters of urgent public importance. However, immediately the motion, which generated a heated debate, with lawmakers shouting at one another was adopted, some All Progressives Congress (APC) lawmakers staged a walkout to protest the decision. Ossai had argued that the Executive Order, which empowered government to restrict dealing on the assets of persons suspected of corruption, pending the outcome of investigation, was a violation of the 1999 Constitution (as amended) and an attempt to usurp the powers of the legislature. A member from Ondo, Bode Ayorinde, who introduced himself as a member of the Reformed APC, amid cheers from his colleagues said, the action of the President was an aberration. “Power corrupts and absolute power corrupts absolutely. The section 4 has given the parliament the power to make law. “A situation where the executive without combing other arms of government by way of executive order, we must rise against it, otherwise, there is no democracy. It should not be allowed. “We should remind ourselves that we are in democracy. An executive bill can come here. But to now circumvent the rule of law will be an aberration,” he said. One of those who opposed the motion, Mojeed Alabi, said the question of the legality or otherwise of the Executive Order 6 did not arise, noting that there were precedents. While describing the motion as “hasty and premature,” the lawmaker said the only option open to the House was to approach the Supreme Court on the issue. Meanwhile, the Senate while adopting the motion sponsored by the chairman of the Committee on Judiciary, Human Rights and Legal Matters, David Umaru (APC), ordered Buhari to immediately set up Judicial Commission of Inquiry (JCE), to investigate all cases of human rights abuses allegedly committed by security agencies, particularly in the last three years when he assumed office. It urged the President to put a stop to the violation of human rights across the country. The Federal Government was also told to demonstrate practical commitment to the observance of the rule of law especially in ensuring obedience to court orders and following due process in fulfillment of its constitutional obligations. Efforts by senators loyal to Buhari in APC to stop the debate failed as majority of senators said they believed that the parliament was the right place to debate threats to democracy. Senator Jibril Barau from Kano State was of the opinion that some matters raised in the motion were already before the court. He was overruled by the Deputy Senate President, Ike Ekweremadu, who argued that what the Senate was debating was not those issues in court, but violations of human rights and breaches of constitution. Senator Enyinnayya Abaribe, who was just released by the Department of State Services (DSS), said it was unfortunate that some senators could take side with the executive arm of government. Senator Shehu Sani, another APC member from Kaduna, warned that those who think they are favoured by this government might be victims in future if these abuses are sustained. The Senate motion observed: “In the last few years, Nigeria’s democratic credentials had become questionable as a result of the alarming cases of alleged state-inspired human rights violations and consistent constitutional infractions perpetrated by agencies of government. “It is alarming that in the recent past, allegations abound that the executive has not only consistently violated the fundamental rights of Nigerian citizens particularly the rights to dignity of human person and right to personal liberty as guaranteed respectively under sections 34 and 35 of the 1999 Constitution of the Federal Republic of Nigeria, as amended but also infringed on the constitution in several ways. The motion lamented what it termed as the “gradual descent of the country into anarchy and despotism as a result of indiscriminate arrests, unconstitutional detention of citizens under questionable circumstances as was the fate of the Senator representing Abia South, Enyinnaya Abaribe, who was whisked away by a detachment of DSS personnel while attending a function at Transcorp Hilton Hotel, Abuja and later kept incommunicado for five days. A Federal High Court sitting in Osogbo has granted an order of mandamus to compel the National Assembly to begin impeachment process against President Muhammadu Buhari, based on some alleged constitutional breaches. Justice Maureen Onyetenu gave the ex parte order on Wednesday, following a motion filed before her by the Chairman, Nigeria Bar Association, Ilesa branch, Mr Kanmi Ajibola; and a human rights activist, Mr Suleiman Adeniyi. The activists had, about three months ago, written to the Senate and the House of Representatives to begin impeachment process against the President, based on the continuous killings and spending without lawmakers’ approval. However, the duo approached the court seeking an order to compel the National Assembly to begin the process following their refusal to impeach Buhari based on the activists’ letters. They alleged that the President did not possess a certificate to be qualified as a President and should be impeached based on this and other alleged impeachable offences.